Social Psychology: The Basics is now written! Social Psychology: The Basics is on it’s way! As regular readers will know, this last year I have been writing a lot – this blog (which I admit has been a little hit and miss) but also papers (some of which I have posted about!) and another short e-book (Understanding and Managing Stress). However, one of the projects I am most proud of is the completion of my first ever textbook – Social Psychology: The Basics. I’m really excited to say that it has now been sent to the publishers! This mid-length book outlining the history of social psychology and the methods it uses and covers the theory and evidence that makes up the field. Along the way it explores the conflicts and controversies (including the recent replication crisis) which have, and continue to, shape it’s future. It also explores the application of the science of social psychology in the real world. If your a student or just interested in the field, you should definitely check it out! I’m really excited that is has entered pre-production, and I am looking forward to telling you more about it as things develop :-). Social Psychology: The Basics will be out later in the year, published by Routledge. Sign up for updates to get the latest news! The Basics series is published by Routledge, and aims to provide accessible, authoritative introductions to many many fields of study. Other titles in the ‘Basics’ series include Internet Psychology, Semiotics, Research Methods and about a zillion other topics – check out the full range here. I’m looking forward to joining such a great series! Author daniel_fringsPosted on May 25, 2018 May 24, 2018 Categories Books, Social Psychology: The BasicsTags Social Psychology: The basicsLeave a comment on Social Psychology: The Basics is now written! Exciting news – Understanding and Managing Stress now out! PsychologyItBetter is all about making the insights of psychology clear to people in useful, accessible ways. Part of of how I try to do this is the range of ‘PocketBooks’ – concise, informative volumes which help translate research into practice. I’ve some news on this front- The latest PsychologyItBetter.com PocketBook – ‘Understanding and Managing Stress‘ is out now. What inspired ‘Understanding and Managing Stress’? The last couple of years have, for me, been marked by a lot of stress. I’ve had some great life events (welcoming my second child into the world being a highlight) and some challenging ones (competing professional pressures being a big feature). Through all the ups and downs I have experienced high levels of stress that were, personally, unprecedented. I didn’t always react well. In fact, I sometimes reacted in ways that left me disappointed with myself, and worried about how to carry on juggling my life. I managed change my bleak outlook on the world. But I didn’t (couldn’t) do it alone. I was lucky to have an incredibly supportive partner. My work colleagues also helped, and I formed a number of new social relationships which were (and are) a source of invaluable support. I also realised that, as a researching and teaching psychologist, I had access to another amazing resource – the body of scientific evidence which attempts to understand how stress functions and how we can best manage it. I threw myself into this literature. The strategies and ideas you will find in this book represent some of the areas I found insightful and of the most use. ‘Understanding and Managing Stress’ is my attempt to crystallise these key findings. Importantly, it also tries to translate the (sometimes abstract) ideas into real, actionable suggestions. It provides information you can use to help understand the reasons why we become stressed and also actions you can take to manage it. There is no such thing as a quick fix for stress, and I don’t think many of us will ever be 100% stress free. But a good grounding in the theory and practice of stress management has helped me enormously, and I am confident it will help you to. Whilst we may not be able to remove the sources of stress in our lives, we all have the potential to better manage how we respond to them. However, to do so effectively, we must also understand how stress operates. Drawing on a combination of decades of scientific evidence and his own personal experience, I have attempted to explains the processes which underpin our responses to stressful situations. The book also also outlines clear, effective ways to translate theory to practice – methods you can use starting today. This book comprises 10 sections, each of which concisely and clearly describes a psychological concept which is relevant to understanding and managing stress. Each ends with a ‘how do I use this?’ segment which presents one or two realistic ways your new insight will help you. How our biology and psychology interact when we are stressed, the role of time perception, and the effects of mindfulness and self-affirmation are just some of the topics discussed. We all want to reduce the amount of stress we experience in our lives – and this book will be an invaluable aid in doing so. I have found writing this PocketBook enormously beneficial – I hope you find reading it a helps you better understand and manage the stress in your life too.You can find the Amazon UK edition here, and the US/World editions here. Check it out today! It is also available via KOBO, Apple, Barnes and Nobel (NOOK) and many other retailers – just search ‘Daniel Frings’. You can opt out of these emails at any time, and I will never share your email address with other people. I hate spam as much as anyone, so will not be bombarding you with emails! Just a short post this week, I’ve some more international book news! 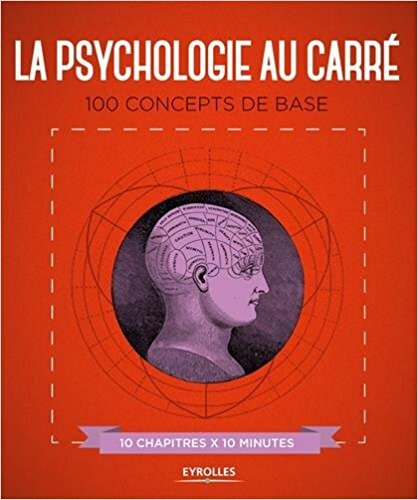 Psychology Squared, 100 concepts you should know (the book that arguably started this blog!) is now available in… French! As such, it joins it’s place amongst the original UK and US editions, and the more recent German translation . Again, if I am honest this is a bit of a surprise, but a really nice one! You can check out the French version here, or go back and see the original UK and US editions if you missed them first time around…. On the book front, I am also still cracking away at Social Psychology: The Basics – with the first draft pretty much done :-).I also have some news about my next pocketbook coming up soon as well – hopefully in the next few weeks! What should social psychologists be exploring next? Where is (should?) social psychology heading? Last week I posted about going through the process of writing Social Psychology: the Basics, a new textbook I am currently writing. I am just about to get cracking on the first draft of the final chapter. One aim of this section is to discuss future directions of social psychology as a discipline. I’m interested in what new topics social psychologist will (or should) be exploring. And I would like you to tell me! Author daniel_fringsPosted on November 24, 2017 November 24, 2017 Categories BooksTags books, psychology, social, the basicsLeave a comment on What should social psychologists be exploring next? For some time I have been harbouring a bit of a secret from you. I’ve not been sure how to bring it up, but I think it is time. I’ve been writing, and not with you. I met someone, we had a chat, and now I am in a wonderful relationship with a great editor. In fact, we’re having a book together. I didn’t mean for it to happen, but it has. I think it’s time you know all about it. The book’s name? I’m not sure it’s that important, but it’s going to be called ‘Social Psychology: The Basics’. Psychology Squared – now in available in German! So – I have some unexpected book news. In 2016 I co-wrote (with Chris Sterling, and a chapter from Elizabeth Newton) a book called ‘Psychology Squared: 100 concepts you should know‘. It outlines the entire discipline of psychology (well, a good chunk of it), with one concept per page. I had a blast writing it, and in many ways it kick-started this blog. It’s also (if I say so myself!) a great little volume, and one I am very fond of. Guess what – the book is now available in German! You can check it out here! 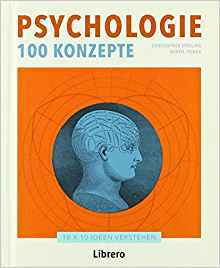 Author daniel_fringsPosted on November 2, 2017 November 2, 2017 Categories Books, UncategorizedLeave a comment on Psychology Squared – now in available in German! Better Influence book now out! Better Influence book out this week! A big part of my motivation in creating this blog is making Psychology accessible to a wide audience. As part of this I am also writing a series of ‘PocketBooks’. Each pocketbook outlines 10 key concepts in a particualar field of psychology. Each is communicated in 600 words or less, making it perfect to dip in and out of. In the spirit of psychologyitbetter.com, each also outlines a number of improvements you can employ in you day to day life. I’m really pleased to announced that the second PocketBook in the series, ’Better Influence, 10 quick concepts you can use to persuade others more effectively’ is out in paperback and ebook formats this week! You can find out more at the Bookshop. I am really pleased by this volume and, with an introductory price of just £3.99 for the paperback and an amazing £1.99 for the ebook, I hope you check it out and enjoy it too! Author daniel_fringsPosted on August 6, 2016 August 2, 2016 Categories Books, PocketBookTags books, cognitive bias, influence, judgement, persuasion, PocketBook2 Comments on Better Influence book now out! Psychology Squared book is out! I am thrilled to say that my new book, Psychology Squared: 100 Concepts in Psychology You Should Know is now out, published by Apple Press and available in physical form via Amazon and other channels. Written by myself and Dr. Christopher Sterling, this volume outlines 100 interesting ideas and concepts in psychology, each accompanied by a beautiful illustration or fantastically informative diagram. I’m really proud of what we have achieved, and writing it was really the inspiration for the blog. You can read more about it by visiting my little bookstore here. Author daniel_fringsPosted on June 18, 2016 June 21, 2016 Categories Better performance, Better social relations, Books, Health and wellbeing, UncategorizedTags books, psychologyLeave a comment on Psychology Squared book is out!